All clubs are invited to participate in the John Arkinstall State Teams by holding events to qualify teams to their respective Regional Finals. 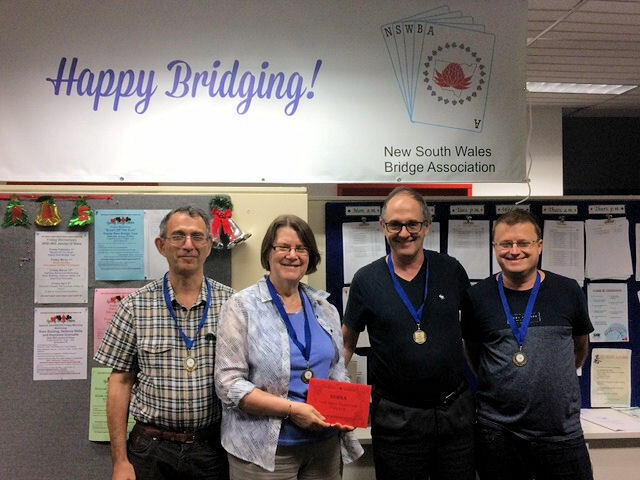 The winners of the State Open Teams were the BLOOM team. 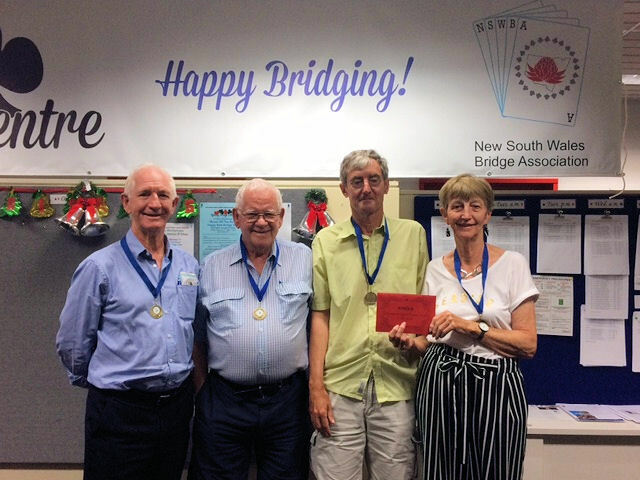 The Country Teams was won by the HURLEY team from the NORTHERN region. 10 Teams from the NSWBA, the Sydney Metropolitan region, the Outer Metropolitan, Northern and Southern & Western regions will play in the John Arkinstall State Teams Round Robin on Friday and Saturday December 14 & 15. On Sunday December 16 the top two teams will play in the Final and the top two Country Teams will play in the Country Teams final. 6 x 10 board matches commencing 10.00 am Saturday December 15, 2018. Finals: 56 boards commencing 10:00 am Sunday December 16, 2018.